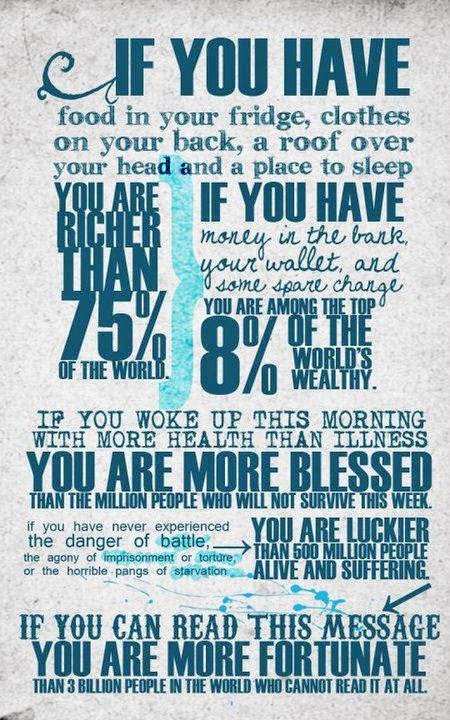 Yes…we have so much to be thankful for and how easily we forget!! Yes most of us with the luxury of viewing this post are indeed richly blessed. I for one am very grateful!